The current Volvo S60 R-Design — like all R-designs — has been limited to suspension tweaks and expensive aesthetic upgrades. No more! An inside source tells us the next R-Design S60's getting a power boost. No amount of brand-washing will convince anyone that the new S60 is actually naughty. Naughtier than the outgoing S60? Sure, what isn't? Even the 2011 R-Design, with its same 300-hp turbo inline-six, is just a grilled chicken sandwich on a jalapeno cheese bun. Perhaps sensing that we weren't buying the argument, internal documents from Volvo show the new MY2012 S60 R-Design (as well as the XC60 R-Design) will finally earn its name with an upgrade to 325 hp and 354 lb-ft of torque from its T6 engine. Uh oh, someone just put sriracha on that sandwich. And don't worry, they didn't neglect the suspension upgrades. It'll still get monotube dampers over the twin-tubes used on the regular S60 T6, as well as springs chopped 15 mm on both the front and the back. 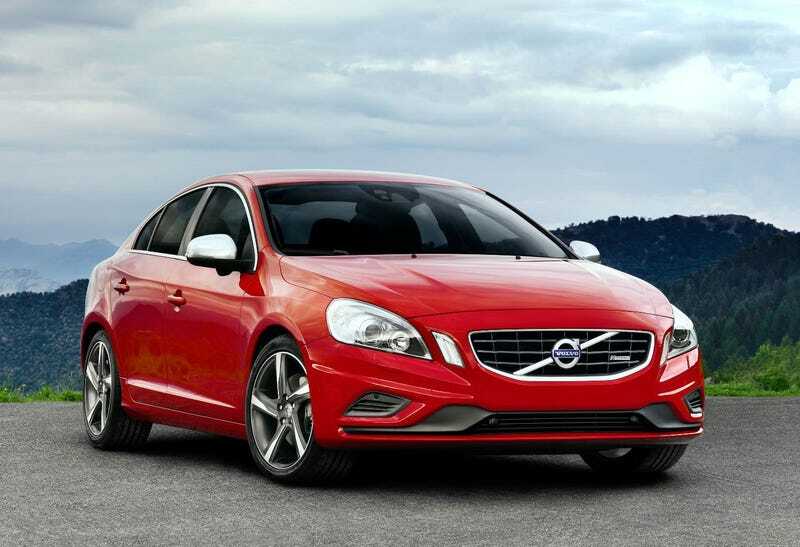 The combination means the S60 T6 R-Design will be the hottest product since the V70R. Now we just have to make sure they offer us yanks a V60 T6 R-Design.